I know how to live a physically healthy lifestyle. If I eat lean meats the size of my palm every day, focus more on fruits and veggies and less on chocolate and ice cream, and get 30 minutes of exercise a day, I would be in great shape. For some reason, my conscience believes this will happen by osmosis … that I really don’t have to do anything, just know about it, and it will happen. 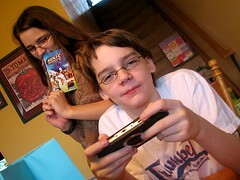 Our spiritual life is like that, too. We can gain infinite Bible knowledge, listen to a ton of sermons, recite the creeds, but unless we put our beliefs into action, we are not producing a healthy spiritual life … we are just getting fatter. Following Jesus means to be doing, going, praying, caring, helping and more. It is a faith-active lifestyle. God wants us to be spiritually lean machines and he tells us how to do it in his bestseller, the Bible. 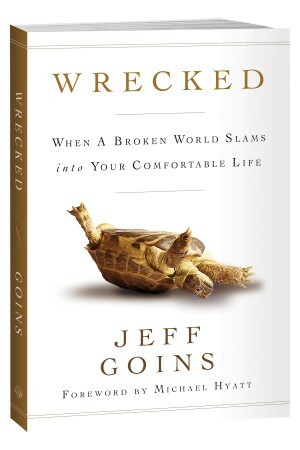 Faith Tip: One great resource for a spiritually healthy life that recently came out is Jeff Goins’ book Wrecked. I recommend reading that along with God’s word.